We've been super busy here at the studio. After finally finishing the last pages of BPRD-Vampire (check out the detail from the last page on the image above), we're still hard at work on our short story for the recently announced American Vampire anthology. If that's not enough, there are two covers on our plate this month, a KillJoys one and a yet secret one, and we're trying to finish as much as we can before we travel to the US for our Portland week next week. 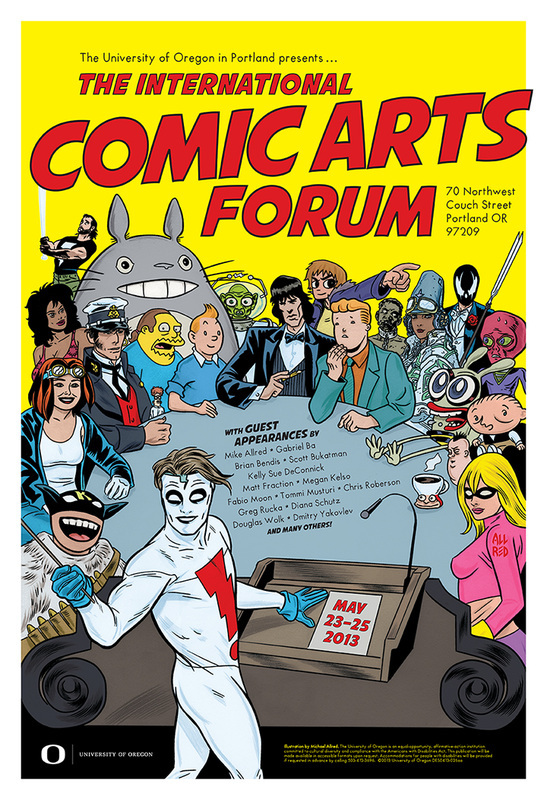 We were invited to Portland to be part of this year's edition of the International Comic Arts Forum (check out the sweet Mike Allred poster) and we gladly accepted, as we love to talk about comics and how great it is to create and read them, and as Portland has so many awesome comic related people, from authors like Craig Thompson and Joe Sacco, to great artists like Allred himself, to publishers like our beloved Dark horse, and also some amazing mainstream writers like Matt Fraction and Brian Bendis. Last time I went to Portland, this, this, this and this happened. Who knows what can happen this time? 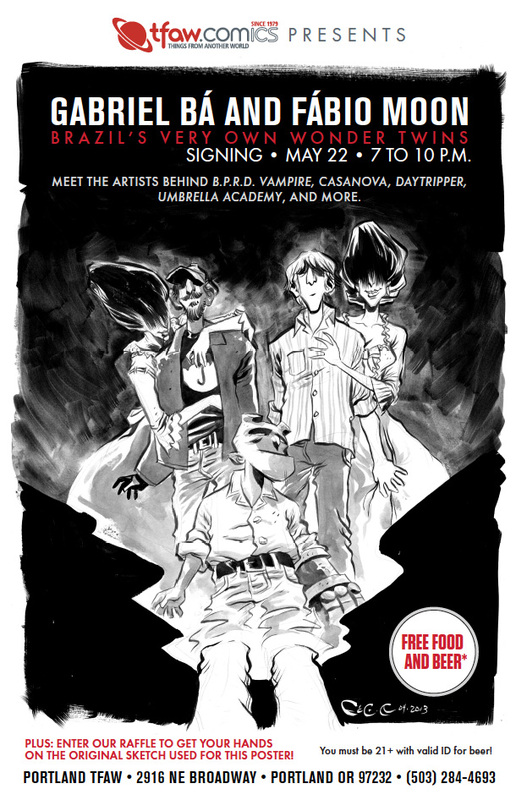 -Wednesday, May 22th - from 7pm till 10pm- TFAW signing/party - we'll be signing at the Portland Things From Another World (2916 NE Broadway Street), in a very relaxed meet and talk get together where we'll sign your comics for you. Attendees will enjoy free food and beer (those 21+ with valid I.D.) and receive raffle tickets to win an original sketch I did for the event poster (pictured below). It was supposed to be a fast sketch, but I got a little carried away. Both ICAf events are free for the public, as is the signing at the store, but for the ICAF talks they ask that you register online. All the information can be found here. I hope a lot of people come, and we'll be ready for all sorts of questions, even if we have to squeeze them out of the audience.